This chapter was brought to you by AnmesicCat, and StellarAshes. Special thanks to Cave Scanlation for providing the raw document. They will also be releasing the entire first volume of the manhua with this side-story in PDF form, so look forward to it. He walked casually. The mountain roads were difficult to cross, but for this person, the rough roads was not at all a problem. Though he wore a robe, it only went down to about his thighs, and underneath the robe, he wore leathered clothes, which was suitable for moving around. Nevertheless, the combination of two created a sense of disharmony. His footsteps were lithe, but not fast. In fact, he was walking at such a leisure pace that one could mistake him for walking in his own backyard after a meal. Considering his surrounding was pitch-dark and the ground was covered with mud, the disharmony between his posture and the background was as strange as his choices for clothing. However terrifying what he said sounded, his posture remain relaxed, as if he was in no hurry to find the source of the cries. A wolf’s howl came from afar, in the same direction as the cries he heard. This realization made him stop. Was he already too late? Should he even bother going? He thought about it briefly. He decided that, since he had already made it all the way here, it would be a waste of time if he didn’t go check it out, even if all that remained when he gets there was a pile of blood. After all, he hadn’t had wolf meat in a long time. As for whether the wolves had just eaten a human — it would be fine as long as he didn’t eat the wolves organs. A pile of blood, a pile of bones and flesh, or a bloodied child… he had thought of every possible terrifying scene, but he didn’t seem to care. He even began to bet against himself on which scenario it would be… except it was none of them. A small figure sat on top of a large rock. The pack of wolves were circling the rock, and their numbers were no less than fifty. Not only did they not pounce and tear the child apart, they were lying still on the ground, as peasants would before their king. Even the alpha wolf of the pack, who looked like the king of the pack, remained upright and walked slowly towards the figure. Having thought he had seen everything, the sight of all this still made him pause. He was no longer in a hurry to go up, but instead, he was now interested in seeing if this child could survive in the claws of the alpha wolf. The alpha wolf looked like it was on guard. His movements were careful yet majestic. He looked more like a human than a wolf, which meant he had likely ascended, and was no longer than an ordinary wolf. He took a few steps closer, ascertaining the small figure was indeed a child. Judging by the figure, the child looked around five years of age. Even though most of the child was covered by a cloth, but he trusted his ability to judge age. After all, he had took in quite a number of infants, so he was no stranger to babies. The alpha wolf walked up to the child; its size was considerably larger than the other wolves. The child looked nothing more than a few rubbles next to its feet. As it walked around the child, it kept sniffing at the child. He had no idea why the wolf seemed worried. Such a small infant obviously had no ability whatsoever to protect itself. The situation was rather special. The alpha wolf seemed to fear the child slightly, but the naive child was not scared of anything. The child reached out his hand to touch the fur on the wolf, as if he was feeling cold. As soon as he realized the warmth of the wolf, he leaned his whole body against the wolf. The alpha wolf became terrified and jumped a few steps back, but the child crawled or rushed to catch up the wolf. Strange, the child did not seem to know how to walk. The man observing from the sidelines was confounded. For a normal person, at the age of five, one could already run securely, but this one look like he was having trouble just standing up. Instead, it was crawling towards the Wolf’s limbs. Could the child be younger than he imagined? The wolf lowered its head, and prodded the child with its nose. The child actually reached out its hand to try to grab ahold of the wolf’s head. But because he was too weak, he could not hold onto it. He then completely leaned his entire body against the wolf’s limb, trying to absorb as much warmth as possible from the wolf. The wolf lowered its head and licked the child. It hesitated briefly, but then opened its mouth towards the child. Contrary to expectations, the child did not cry, because he was picked up by the wolf like an animal would for its young. Not only did he not feel any pain, he felt the warmth from the mouth of the wolf. Although the wolf’s mouth was filled with the stench of blood, to a child who had spent most of the night in the cold, warmth was far more important. The alpha wolf seemed to have no plans to harm the child. He held the child with his mouth, and turned to leave. The surrounding wolves got up, and followed the wolf king, as if they were a small army following their emperor. But before he went long, the alpha wolf suddenly widened its eyes. He threw the child to the side, and carefully examined the person appearing in front of them, while emitting a low, warning growl. The person was wearing robes and leathered clothes. His hands were crossed behind him, and he was standing there leisurely, which was completely unlike an attitude a normal person would have in front of a pack of wolves. The side who appeared to be worried was actually the pack of wolves. Despite its growl, the alpha wolf did not rush up, but took a few steps back instead. The other wolves did not have the alpha wolf’s keen senses, but they acted as if they could sense something from the attitude of their leader; they also backed up. He walked up slowly, and the alpha wolf continued to growl. Every three steps the man took, the wolf took one back as if it was hesitating. Its postures and expressions looked no different than those of a person. “It really has obtained sentience.” The man laughed wryly; having seen much in his life, a wolf with sentience wasn’t anything of interest to him. Facing such arrogant attitude, the alpha wolf gave out a quiet cry; it had gotten angry. As soon as their king was angered, the wolf pack began to grimace as well. Their claws were digging through the ground, preparing to charge up to this man at anytime to tear him into pieces! The man smiled. There was still no trace of fear in his expression, but was filled with interest instead, as if he was playing with his own puppy. Unbelievably, as much as the alpha wolf seemed to be unwilling, it continued to backup. It looked at the child next to its feet with longing; the child was holding tightly to his limb, so it had no choice but lightly kicked the child away from it. The child flew off, and rolled a few times on the ground, stopping halfway between the wolves and the man. The child looked at the alpha wolf with confusion, and he tried to slowly climb towards the wolf, but before he made it very far, the man grabbed him and lifted him up. The wolf king howled a few times, then left in another direction. His instincts told him, he couldn’t possible mess with the man in front of him. So no matter how much he might have liked the little thing, he had no choice but take his pack away from him, especially since all he felt towards the child was simply curiosity. “AHH—” The child was struggling in the air. He looked towards the child’s face, and dismissed that previous thought, because the child had intelligent eyes, and his limbs were moving just fine, not to mention he could make sounds just fine. The child did not look like he was born with any defects. He looked closely, and the child’s eyes drew his attention. The color was fairly light, and it looked like a thin layer of dust. Under the shine of the moonlight, they were emitting a warm silver color. The child looked rather delicate; his oval face, delicate white skin, crescent brows, and those intelligent eyes made it hard to imagine someone would be so cruel to abandon a child like this. The child trembled. The cloth on his body had already fallen off. He could do nothing except grasp tightly to the person in front of him, trying to obtain whatever warmth possible. Even though the child could not understand him, Gle still spoke tirelessly. At this time, the child finally did not seem to feel cold anymore. He raised his head and stared at Gle, curiously listened to the strange syllables he was sounding off, while making an occasional “ah, ah” sounds as he tried to imitate. Despite the child being fairly emotionless, his flashing silver eyes suggested he was actually happy. After he repeated it a few times, the child was indeed trying to pronounce “Silver Moon”, but no matter how much the child tried, he could only make an “Si” sound. The child didn’t understand, but in the following years, he understood completely. To the words “learn quickly” and “suffering”, no one knew better than him. “Send these children to the wolf section for training.” Gle commanded casually. Everyone’s face turned pale, but no one dared to say anything else against Gle, because he was their Leader, the head of the Assassin organization, the one and only head of this organization, from the past to the present. The Assassin organization had existed for hundreds of years. The person who opened his mouth was Cuilin, the training instructors for new Assassins. He still couldn’t understand, why the Leader had been, in recent years, extremely anxious, to the point where he had been condensing ten years of training into five, and the training procedure had been even more rigorous than before — one must understand, the Assassin organization’s training had already been rigorous before. The children they’ve purchased recently had mostly been “wasted”, and even Cuilin felt a bit heartbroken seeing all this. Many of the children had potentials, but even for them, running into such cruel training, they could not survive. The training was not even designed for anyone to survive through; its intent was obviously to kill all of them. No one survived one year of it — well, no, there was one exception. His name was Silver Moon, and he lived through all five years of it; he was the youngest child of them all. Cuilin sometimes felt this was all because of Silver Moon. The Leader’s attitude towards him was unique. Even though he looked like he didn’t care, and Silver Moon lived and trained with all the other children, but after every tragic training session, the Leader’s eyes always looked towards Silver Moon first. Silver Moon was the child Gle carried back himself. When he first got here, he was only five, and he knew neither how to talk nor walk. But within half a year, he had learnt so much to be considered no different from the other children. “Outstanding talent” was not enough to describe this child. Cuilin sometimes felt this child wasn’t even human — perhaps a demi-god, or perhaps a demon, but definitely no ordinary human. How could a child not even ten years of age could be so strong? Even the moves the fifteen year-olds take ten days to learn, he mastered them in a day. But if this wasn’t the case, Silver Moon couldn’t live through these five years of training. Perhaps the Leader feared this child? Cuilin thought to himself, but he felt that, since the Leader had always done what he pleased, if he actually did fear the kid, he would’ve killed him already, and it would be impossible for the child to be still alive. He really felt he had no choice. Otherwise, in a few years, if there really were a problem, the Leader would still put blame on him. If that happens, decapitating would be his best way of dying. Gle frowned slightly, and made everyone’s heart beat out of their chests, fearing they would end up like the Assassin apprentices in the recent years. Everyone seemed to relaxed slightly then, but Cuilin secretly sighed. 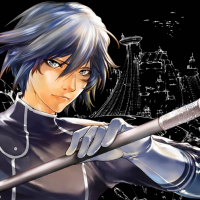 His age made him unsuitable for carrying out assassinate missions, and the practice of graduating by killing your master in the organization did not apply to such a basic training instructor such as himself, so he had no worries about whether Silver Moon would take his life once he had became a full-fledged Assassin. As such, he really treated Silver Moon as his student. Such extraordinary student was enough to make all his instructor extremely proud. But Silver Moon was only ten years old; the dangers of the wolf section… was perhaps enough to cause him to lose such an extraordinary student. The instructor secretly felt a bit frustrated. Suddenly, they heard a “cling” sound, and a blinding silver light was flashing on the ground. Everyone widened their eyes, realizing a silver stick thrown on the ground and its length was shorter than an arm’s length. Cuilin suddenly understood. Gle neither feared Silver Moon nor want him dead, but instead he loved him and felt responsible for him! But this time, could Silver Moon sustain this kind of love? Hearing the call, the figure who was practicing basic knife skills stopped. He turned around, and performed a salute to the instructor, then raised his head. The young face was delicate and clean, his eyes were glittering with silver light, and the black hair tied behind his head was dark as the night. He looked nothing like an apprentice Assassin, but instead more like a child everyone would love. Silver Moon lowered his head, and carefully examined the weapon he received — it was a short stick brimming with silver light. He touched it lightly with his fingers, and he seemed to have noticed something. He twisted the body of the weapon slightly, and unsheathed a dagger from within. The sharp dagger with the width shorter than two fingers glimmered with light from its edge. Cuilin told him the name of the weapon. Nevertheless, he did not understand why the Leader would give him such a weapon. Although the weapon could be used as two ways, as a blunt weapon and as a dagger, but Assassins only needed to kill, so a blunt weapon was hardly needed compared to a sharp edge. To him, dagger was the only true weapon to Assassins. Additionally, Broken Silver’s appearance also was unfitting for an Assassin. Assassins generally hide in the dark, but Broken Silver’s glimmering light could be seen from a mile away, and it would not be conducive for hiding. Cuilin could never understand this apprentice’s way of thinking. When Silver Moon was first thrown over to him, he had frequently wanted to run off to look for the Leader. For some reason, he had some sort of deep attachment to the Leader. Even the five years of cruel training had not change his attachment. Had he not known the Leader spoiled his own children so much, and would never treat his own children as cruelly as this, Cuilin might even think Silver Moon was the Leader’s love child. The child being attached to his own father would have made sense. Silver Moon answered with “Yes, sir”, then began to practice. Cuilin suddenly realized there was no such thing as “not being used to” with this child. He held the dagger in his right hand, and the scabbard in his left as if he was holding two daggers, and his movements were even smoother than usual, when he only had a single dagger. He moved through the air elegantly and quickly. Had it not been the weapons in his hand, an onlooker might mistakenly think he was dancing. Reaching half past level two at the age of ten was unfathomable. Even many graduated Assassins could only reach that point. But now, half past two was not enough! This child was too young, and his young physique made him relatively weak, so he had to use Ki to make up for it. For the next test he was facing, the amount made up by level two and a half was far from enough! Cuilin suddenly felt stupid. How could Silver Moon not understand? Over the past five years, number of children had died next to him had far surpassed the total number of apprentice dying in the twenty years before that. So how could a child, who grew up drenched in death, not understand he might die? “Instructor, don’t worry, I will learn it in three days.” Silver Moon nodded. A child can’t die like this!